UW's Society of Women Engineers will host a fundraiser to help the organization and its members. A student engineering organization at the University of Wyoming will host a breakfast fundraiser in early March. 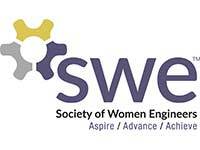 The Society of Women Engineers (SWE) will offer tickets for a breakfast buffet from 8-10 a.m. March 3 at Laramie’s Chili's Grill & Bar (2523 Grand Ave, Laramie, WY 82070). Tickets for the “Welcome to Breakfast at Chili's Society of Women Engineers Fundraiser” are $10, and food options include pancakes, fruit, bacon, sausage, eggs, green chili pork, coffee, orange juice and more. To buy a ticket, SWE representatives will be on campus multiple times in the coming weeks. They will be at the UW Union Breezeway from 11 a.m.-2 p.m. Monday, Wednesday and Friday from Feb. 19-March 2. They also will offer tickets from 9 a.m.-1 p.m. by the entrance of the Center for Student Success in the College of Engineering Building on Feb. 27 and March 1. Those interested in purchasing via mobile can use the Venmo mobile app and send $10 to “SWE_UW” and email swe.uwyo@gmail.com to notify SWE about the purchase. If more than 150 tickets are sold, the doors will open at 7 a.m. Supporters can still consider a donation to the organization even if they are unable to attend the event. Contact UW SWE Secretary Sarah Kamphaus (skamphau@uwyo.edu) for more information or visit the Facebook page.